Hit was created by fitness loving, health-conscious, nutritional supplement users who knew that there was more to be given to the supplement market. Our knowledge that each athlete’s end goal can be achieved more quickly by incorporating superior supplements into their training and nutrition regimen caused us to begin creating a progressive supplement line that includes only the highest quality ingredients. 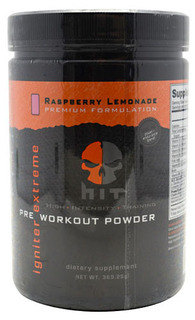 At HIT, we strive to give you highly effective and sophisticated fitness supplements that will help you to create cutting-edge training results.